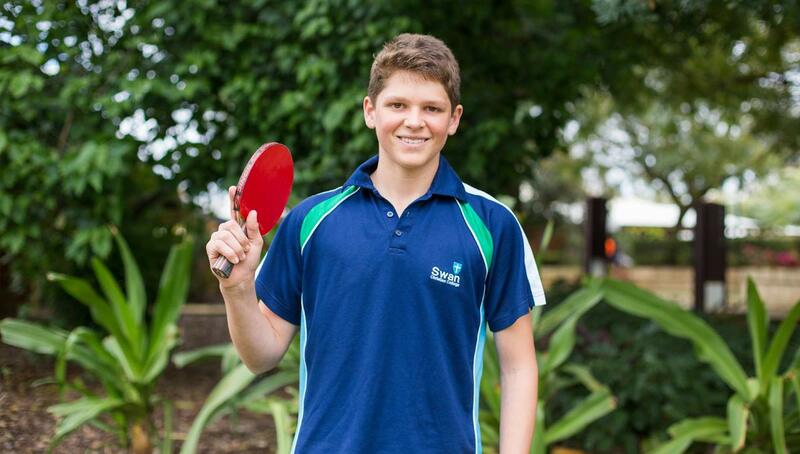 Joshua McElwee (Year 8) has been selected to represent Western Australia in the U15s team at the National Junior Table Tennis Championships in Townsville, Queensland. He is one of only 13 players that have been selected to represent WA in all age groups this year. The tournament is being held during the second week of the September school holidays and this is the second year in a row that Joshua has been selected. Last year, he represented WA in the U13s team at the Nationals in Hobart. Please join us in congratulating Joshua on this outstanding sporting achievement. We are wishing him all the best for his future endeavours and for the upcoming competition.